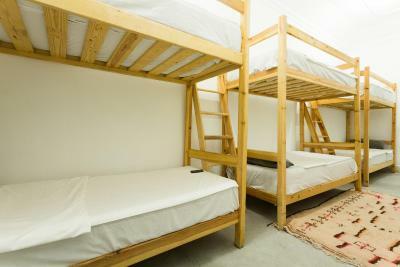 Lock in a great price for Earth Hostel – rated 8.7 by recent guests! There's a free breakfast which is served on the hostel rooftop. The manager, Karim is excellent, he goes above and beyond to help his guests. 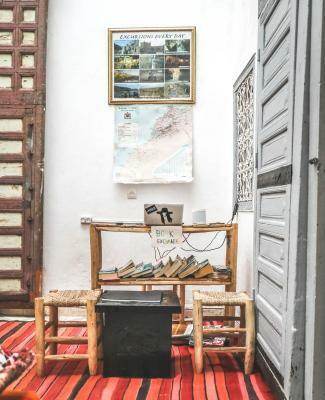 10/10 location 10/10 hygiene and cleanliness 10/10 comfort 10/10 utilities 10/10 breakfast 10/10 WiFi connection 10/10 staff 10/10 atmosphere 😊😊😊😊 Special thanks to Ilyasse for the help and coordination during my stay in Morocco. 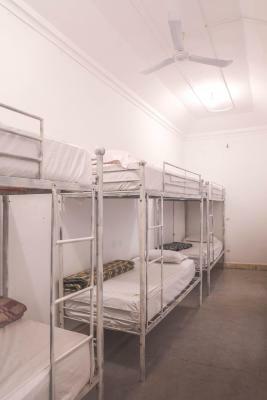 The hostel is in great location. Super clean, cosy terrase and nice people. Recommend for sure. Guys there are amazing. They are really welcoming and friendly. Super good breakfast cooked by a happy person (you'll see what I mean if you chose to go there!). 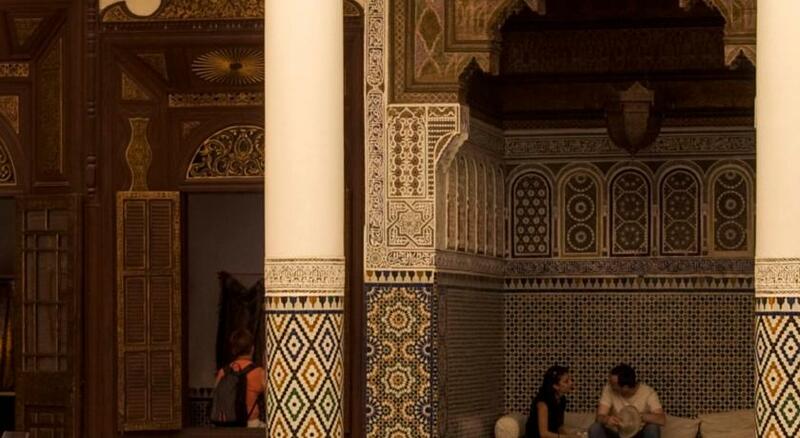 You guys made my stay in Marrakesh! 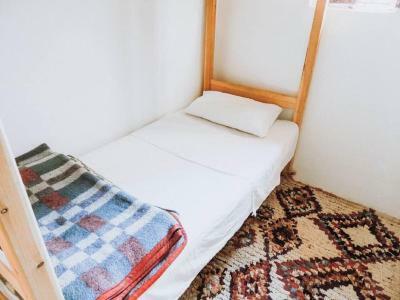 Very good location, clean beds, kitchen and bathroom. Staff was very helpful and kind. 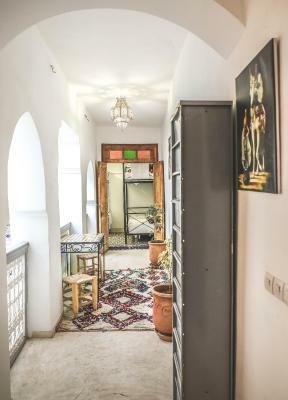 Very cosy and clean close to the square and souks. The people were really nice especially the hosts, very insightful and funny people. Definitely recommend. This one was full at the time of the cheking. I went to their other hostel Oasis Hostel. The place was awesome. 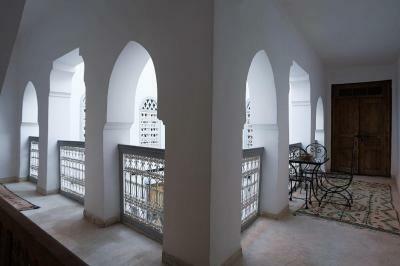 The hostel it's located less than 10 minute walk from Saadian Tombs and less than 15 minute walk from Jemaa El-Fnaa. The staff is super friendly and welcoming. Loubna the caretaker is always keeping the place clean and nice. Azdin is very nice and friendly. 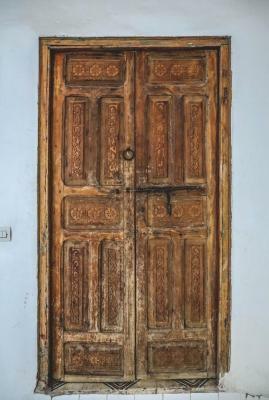 Definetly talk to him if you want to do a one day trip to the dessert or other cities near Marrakech. Ilyasse was so great and always smiling, which made you feel very comfortable and welcoming. He had the breakfast ready and would help you on anything. The same with Mohamed and the rest of the staff. 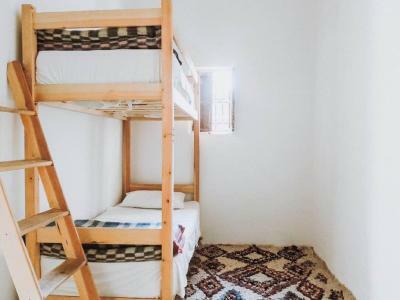 If you are ever in Marrakech for either New Year's or just vacation, definitely come to this hostel. 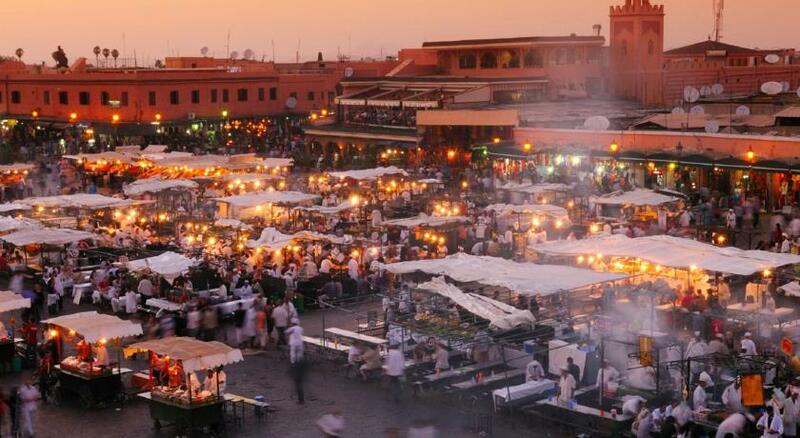 I will when I come back to Marrakech soon. 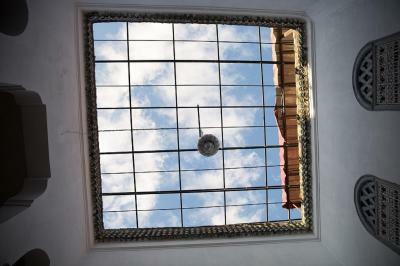 It was a great place to stay close to the square in Old Town Marrakech and very welcoming. Laid back and easy going. 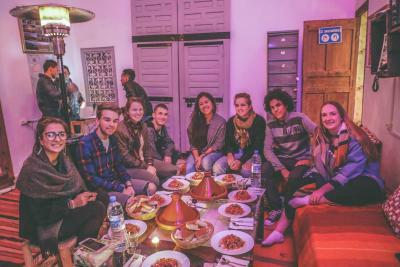 Kareem and Abdu helped me with booking a three-day Sahara desert tour through the hostel upon arrival, as well as giving a lot of information about places to visit in Marrakech. 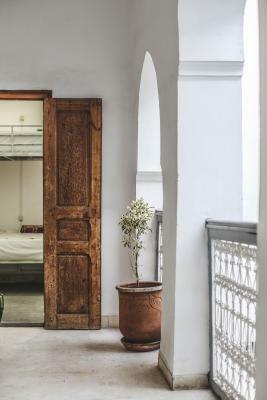 Located within a 3-minute walk of Marrakech Museum and a 4-minute walk of Medersa Ben Youssef, Earth Hostel features rooms in Marrakech. Featuring a 24-hour front desk, this property also provides guests with a restaurant. 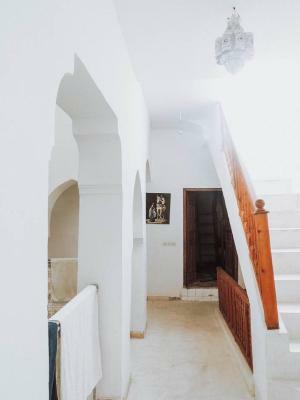 Attractions in the area include Souk of the Medina, 1,300 feet away, or Djemaa El Fna, set a 5-minute walk from the property. 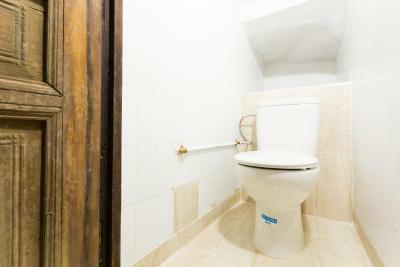 With a shared bathroom, rooms at Earth Hostel also offer free WiFi, while some rooms have a balcony. The area is popular for sand skiing in the desert, and bike hire and car hire are available at the accommodations. Popular points of interest near Earth Hostel include Koutoubia, Bahia Palace and El Badi Palace. 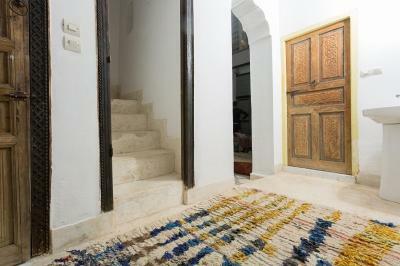 The nearest airport is Marrakech-Menara Airport, 3.1 mi from the property. 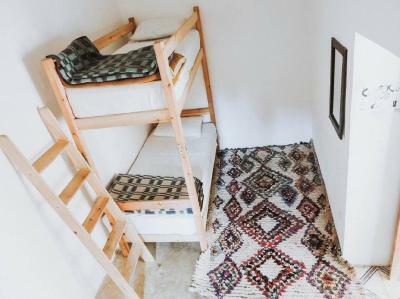 When would you like to stay at Earth Hostel? This dormitory room has a balcony and patio. This dormitory room features a balcony, view and patio. 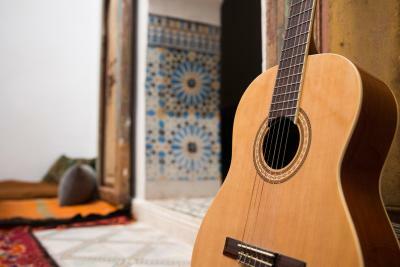 House Rules Earth Hostel takes special requests – add in the next step! 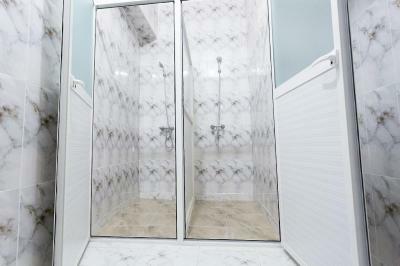 Only 2 showers at the hostel. Managers we're great. Terrace was great. 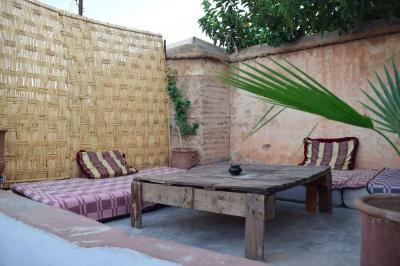 Would recommend Earth Hostel to anyone who is planning to come to Marrakech! It’s clean, comfortable, the rooftop is great and the staff is especially nice. I have nothing to complain about. 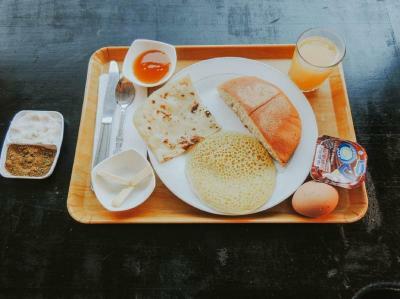 I liked the breakfast, the stuff was really kind and helpful. Location was also on point. 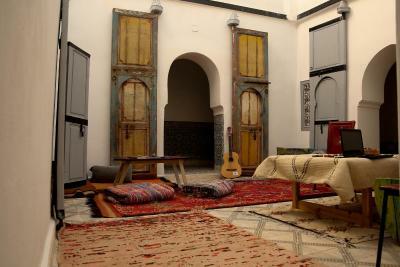 Very good place, perfectly located, 5 to 20min by foot from everything you need to see in marrakech. The hostel is good and the staff is awesome ! We come back for sure ! 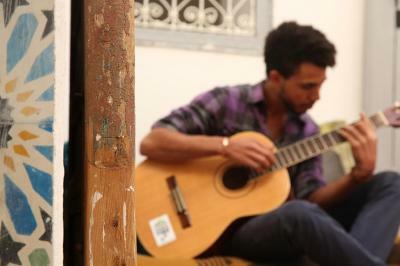 Karim and Mohammed are two of the best hosts I have ever stayed with. 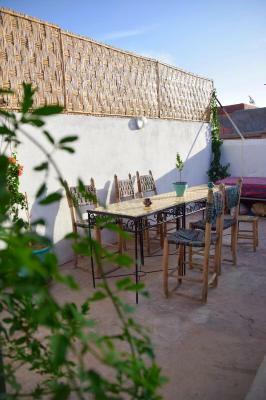 The earth hostel is a happy, quiet placed tucked away right in the heart of the Medina. I am extremely grateful for the time that I spent there. 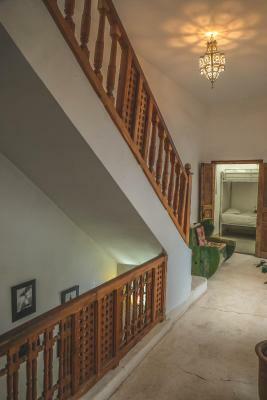 Host, location and price were awesome. 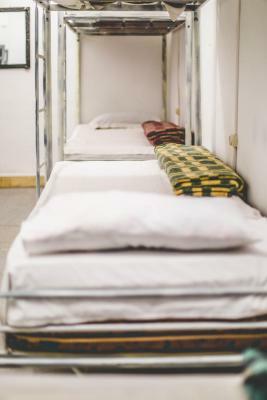 Mattress was good and it was quiet for a hostel. Breakfast was good, too! Earth Hostel was charming and had good clean facilities. 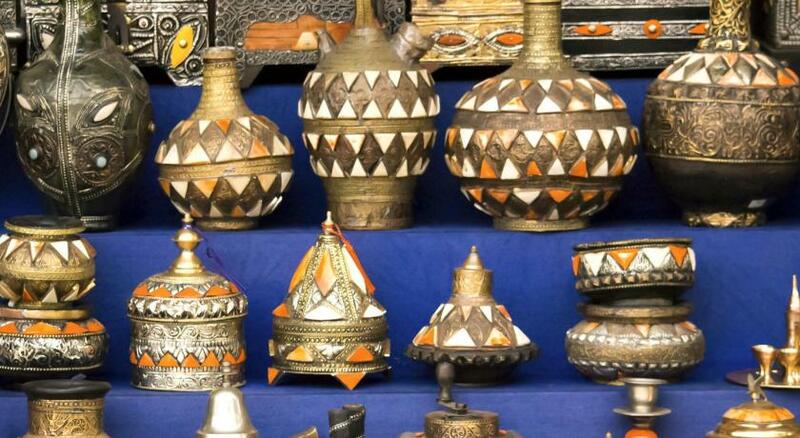 The staff were extremely welcoming and helpful, especially the Manager Karim ! We felt very at home here. 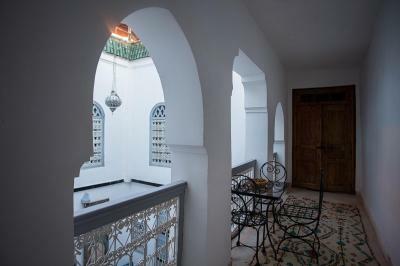 A cosy and calm place to stay in the middle of the medina. 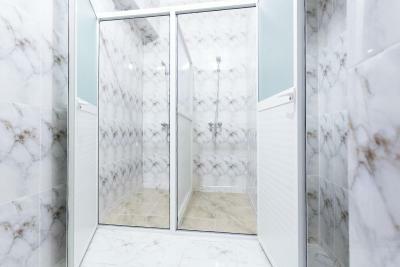 Everything's super-clean, staff is friendly and helpful, overall really good atmosphere. Staff was amazing. Very friendly and helpful. Very nice breakfast, Clean and calm bedroom. Very good location. Very good value for money. 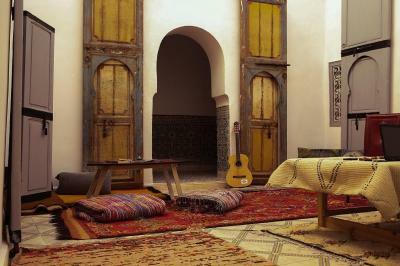 If I come back to Marrakesh, I will stay in this hostel again.